Majority of computer users only view or read PDF files. If you are one of them, then checkout lightening fast and free portable version of Foxit Reader. Being portable it does not require install, just extract 4.1MB downloaded file into specific folder and double click ‘FoxitReaderPortable’ icon to launch the reader program. 1. It has small size (download 4MB & extracted 9MB). 2. It launches quickly without any delay. 3. Allows you to draw graphics, highlight text, type text (annotation). 4. Convert PDF file into a text file. 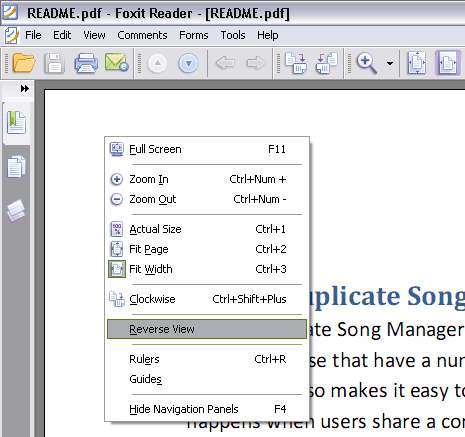 Download Foxit Reader portable, a quick, small and simple software for swift viewing of PDF files. Please note, it does not allow you to create new PDF files (just a super quick viewer)!